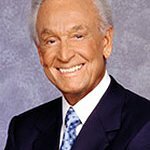 Philanthropist, multi Emmy award-winning TV legend and Animal Defenders International (ADI) supporter Bob Barker welcomed the “best birthday present” on his 91st birthday on Friday, as Mexico passed a historic wild animal circus ban, heralded as the beginning of the end for wild animals in circuses by ADI. The following day, The Netherlands announced that it too is to prohibit wild animals in circuses. 30 countries have now passed laws to nationally restrict the use of animals in traveling circuses. Bob’s generous donations have already allowed ADI to undertake two epic rescue missions in South America to help enforce animal circus bans. The latest is currently taking place in Peru and Colombia, where ADI has 30 lions, 11 monkeys and many other animals in its care as it empties wild animals from traveling circuses as part of its record-breaking mission, Operation Spirit of Freedom. A substantial donation of $500,000 to ADI’s Operation Spirit of Freedom from the former Price is Right host has helped fund the construction of quarantine facilities and veterinary care and, when the animals are ready to travel, will also help pay for their flight to freedom. ADI is raising more funds to relocate all of the animals and build facilities for the monkeys in the Amazon sanctuaries. In 2011, Barker donated nearly $2 million to fund ADI’s rescue of two groups of circus lions and other animals in Bolivia and construction of facilities at two sanctuaries in the US. The mission, known as Operation Lion Ark, is documented in the multi award-winning action-adventure movie LION ARK, in which Bob appears to welcome the lions as they touch down in the US. As abuse has been exposed in circuses, legislation has begun to sweep the world. A two-year undercover investigation by ADI in South American circuses has been key in securing bans in nine Latin American countries. A total of 30 countries worldwide have banned the use of all or wild animals in circuses, with similar prohibitions under discussion in several more. In the US, ADI is working to end the use of wild animals in traveling circuses through the Traveling Exotic Animal Protection Act (TEAPA) which was launched in Congress with Bob Barker’s support. ADI welcomes donations to help care for the animals and fund their flights to the US, free from suffering.